The COOLPIX S33 is a budget waterproof camera aimed at ‘all the family’. It’s a fraction of the cost of many other models, making it a good choice if you want something the kids can use without having to worry too much about what might happen to it. In any case, you don’t have to worry about it being dropped in the pool or knocked off a table as it’s waterproof to 10 metres and shockproof to 1.5 metres. Rather than try to compete with more expensive and sophisticated models, Nikon has gone all out to make the COOLPIX S33 as easy to use as possible. A lot of thought has gone into the design with big kid-friendly buttons and a simple menu system with options described in plain jargon-free language. The graphics are designed to appeal to younger photographers and there are fun features like picture frame overlays and playful shutter release and button sounds. The S33 lacks Wifi and GPS, has a limited 3x zoom and a smallish low resolution screen. It also doesn’t add hugely to the COOLPIX S32 that it replaces; the main additions being new focus modes, a mode for automatic face detection and shooting underwater, closer focussing, a miniature movie mode and faster recharging. If you spend nearly three times as much on the Canon PowerShot D30 or the Nikon COOLPIX AW130 you obviously get a more powerful camera with a wider range of shooting modes and features. The D30 has a slightly wider 4x zoom that starts a little wider at 28mm and zooms in a little longer – 140mm compared with 90mm on the S33. And as well as the longer range you can use the D30’s zoom during movie recording – something you can’t do on the COOLPIX S33. The D30 also has a bigger 3 inch screen with a higher 461k dot resolution, but considering the price difference, the S33’s 2.7 inch 230k dot screen doesn’t feel like a big compromise. There are lots of other physical differences; the D30 has a built-in GPS receiver so you can tag photos that can later be displayed on a map, but neither model has Wifi. And the D30 can go deeper and is tougher, 25 metres and 2 metres are the Water-proof and shock-proof numbers, but for most people the 10 meter depth of the S33 will be more than adequate. The Canon D30 is a more capable movie camera – it has a similar 1080/24p best quality HD mode to the 1080/30p on the S33, but it has optical image stabilisation to make your hand-held shots less shaky. 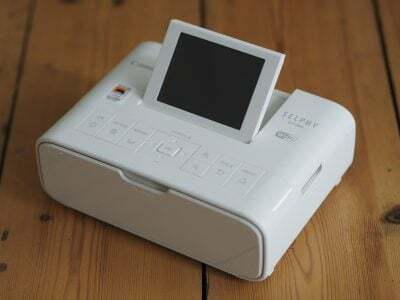 It also has two lower resolution slow motion modes as well as movie digest mode which shoots a short clip prior to each photo you take and assembles them into a longer movie. 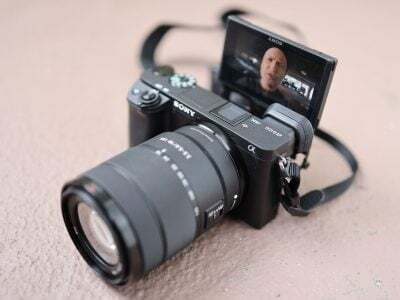 Both cameras can shoot a miniature mode movie, but the D30 is more versatile, you can adjust the in-focus area and there’s a choice of three playback speeds. Nikon’s AW130 also offers a lot more for your money. There’s a 5x 24-120mm stabilised zoom with a much brighter f2.8-4.9 aperture, a bigger 3 inch OLED screen with 921k dot resolution, Wifi and GPS with a manometer to tell you how high or deep you are. The AW130 offers better continuous shooting as well as a wider range of video modes and it too can go deeper and survive bigger drops than the S33 – it’s water-proof to a depth of 30 metres and shock-proof to 2.1 metres. I could go on to talk about the AW130’s neat Action Control feature which, like Tap Control on the Olympus TOUGH models, let’s you make menu selections and choose shooting modes just by tapping the camera, or how it can display your photos on a map on the camera screen. But the fact that the COOLPIX AW130 and Canon D30 are more capable cameras with more features isn’t really in question. If you want a more expensive camera that does more, you won’t be disappointed with either of them and you can find out more by reading my Canon PowerShot D30 review and Nikon COOLPIX AW130 review. The COOLPIX S33 offers something entirely different: it’s a waterproof compact that easily gets good results and won’t break the bank, or indeed break your heart if your kids knock it off a table or dunk it in the pool. And it can bark like a dog when you take pictures.